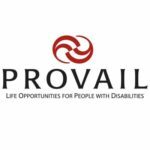 PROVAIL’s Employment Services program provides community-based vocational assessments, individualized job placement, job coaching, and supported employment for adults with disabilities. They partner with the business community to recruit, hire, and train employees with disabilities. Their Employment Services program uses Salesforce to track program participants’ information, business contacts, job development efforts, job support, case notes for services provided, and billing. We worked with PROVAL to rebuild their legacy Salesforce system from the ground up in Lightning Experience using Lightning Components. The system is built as a managed package to enable PROVAIL to sell this system to similar organizations. The system has been rolled out to one other organization, with more on the way. Read more about PROVAIL’s migration to the Lightning Experience UI and a case study of their supported employment solution. Bigger Boat has been amazing to work with! They have a solid team who work diligently to identify what customers’ needs are and carefully consider the most efficient way to meet that need. They are very knowledgeable and professional. The whole team has been committed to our project’s success from start to finish. They met our timelines and were clear on deliverables.